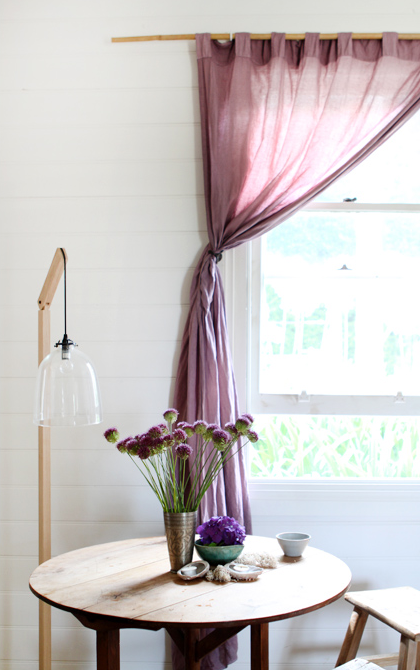 I loooove this dreamy Australian cottage today. Pastels, muted tones and natural wood against a pristine white backdrop. 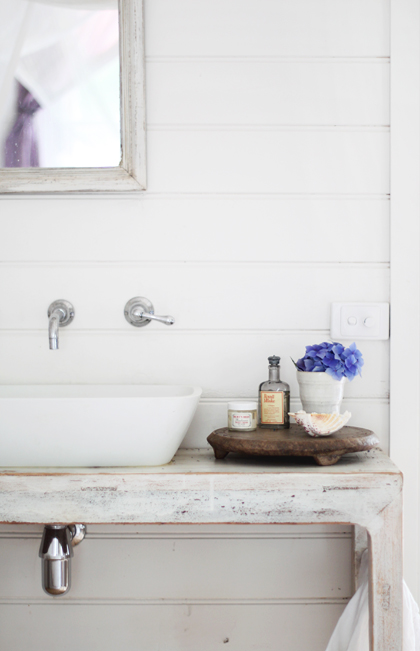 A few modern touches and beautiful white panelling throughout. 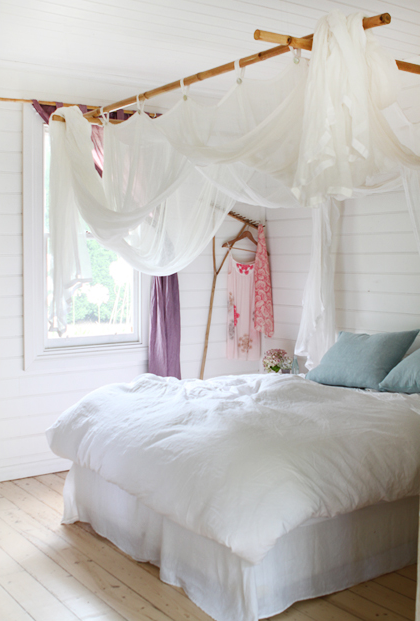 So pretty, light and airy. Yes please! 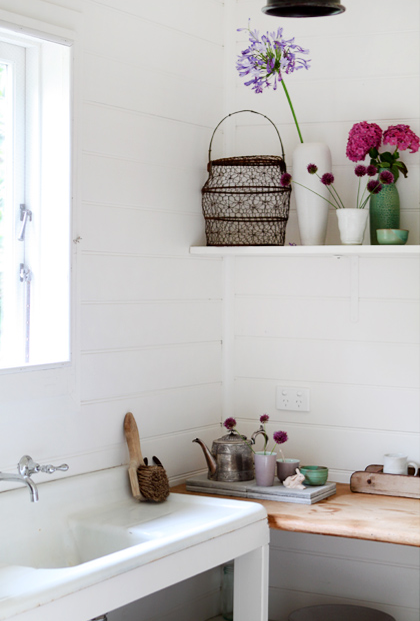 There are lots more pretty pics and info about this lovely cottage and where you can buy some of the dreamy items here. What do you reckon? Something for you? I would Gozia, I would! Oh - I l o v e it! My preferred colours ;-) Thanks for showing!!! Makes my day wonderful! So bright and airy- and I like the rug at the entrance/hall. The rug is wonderful! 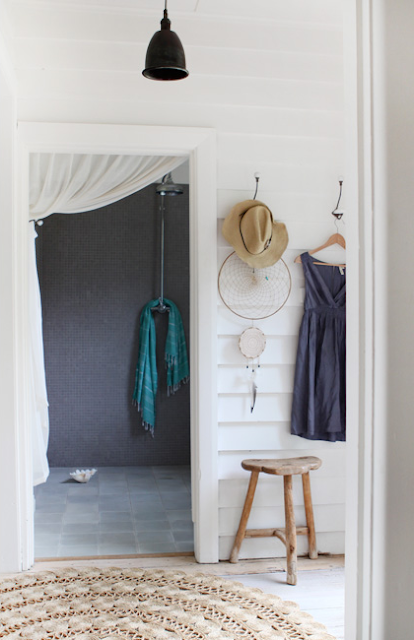 I wish I had the space in my hall for a lovely big round rug like this.